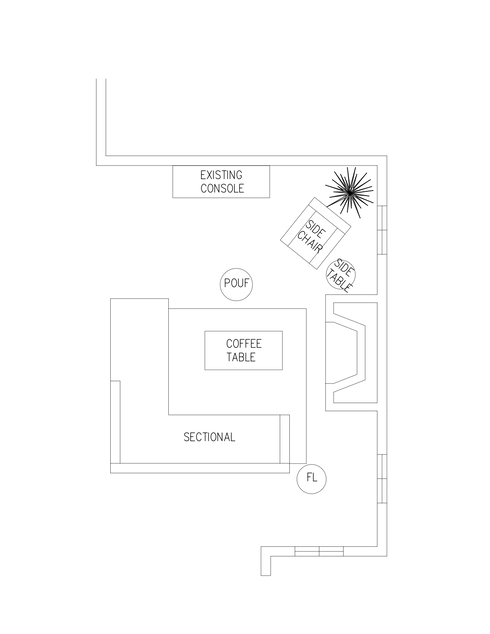 I need help designing and laying out our living room. 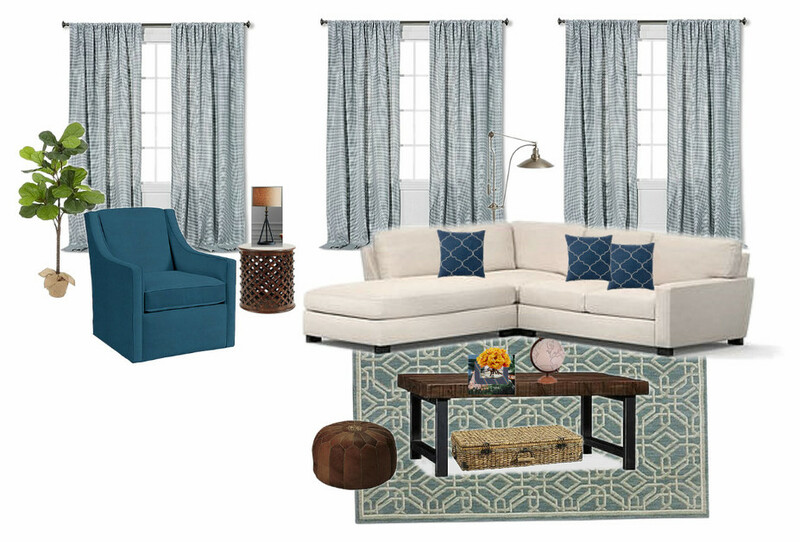 Currently it is very plain and we need help with figuring out possible rug, coffee table, accent chairs, wall art, lamps, etc. We like both traditional and minimalistic styles, with a hint of modern. The lack of color and layout. We would like to keep the TV cabinet / stand. We are open to entirely new couch, chair, lamp, rug, art, coffee table ideas. Thanks! This is even better than expected! 17 Coffee Table Book - "How To Tie A Tie"
Since your room gets plenty of sunlight your color options are quite broad. The existing paint color that you have currently on the walls, and do not want to change, will work perfectly with the color palette of your new furniture and accessories! Client is using existing main paint color that is already applied to the walls. Client is using existing main paint color with finish that is already applied to the walls. 11" Bloomed Roses in Vase, Faux Undying love: Roses have been associated with romance and love as far back as the days of ancient Greece. These meticulously crafted silk blooms, set off in a simple vase, let you savor their lush beauty without having to worry about wilting or shedding. Discount link available to project holder only 9" x 10.5" x 10.5"
Coffee Table Book - Slim Aarons: La Dolce Vita This lavish fourth volume in Abrams's Slim Aarons collection revels in the photographer's decades-long love affair with Italy. From breathtaking aerials of the Sicilian countryside to intimate portraits of celebrities and high society taken in magnificent villas, "Slim Aarons: La Dolce Vita" captures the essence of "the good life." Discount link available to project holder only 12.5" x 10.5" x 1.25"
Coffee Table Book - "How To Tie A Tie" Small Coffee Table Book to go on top of the larger book. Discount link available to project holder only 6.67" x 4.62" x 0.52"